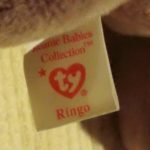 4th Generation Beanie Baby Tush Tags have only a few slight differences from the 3rd Gen Tush Tags. In some cases, it’s actually a 3rd Gen Tush Tag with a new sticker applied on it. 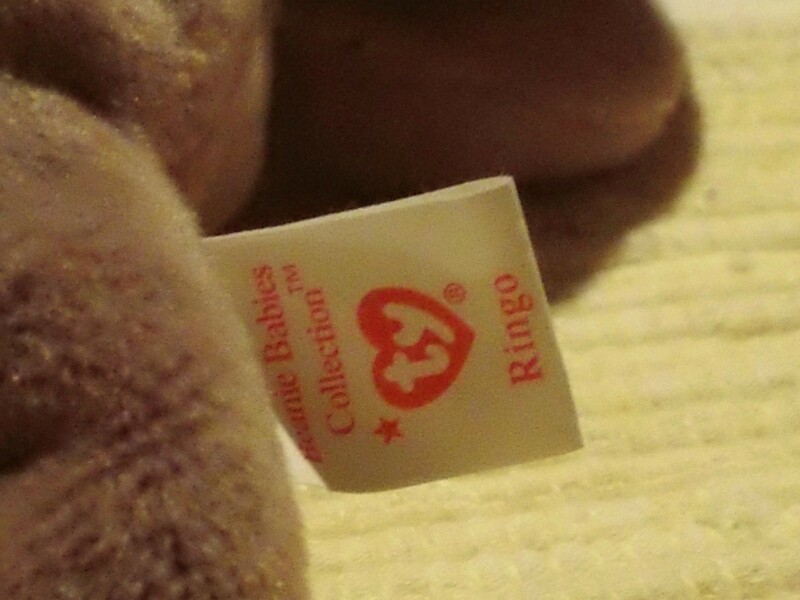 Overall, Beanie Babies with a 4th Generation Tush Tag will not be worth very much money. The era the 4G Tags were made were the height of the popularity of Beanies and many were heavily mass produced during that time period. 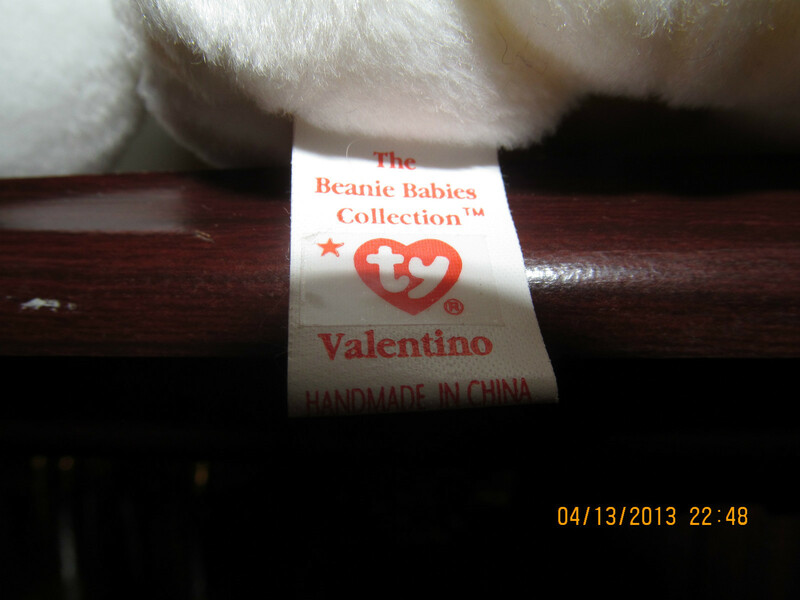 The big change Ty™ made with the Tush Tags for the 4th Generation was that they added a star above the heart Ty logo. 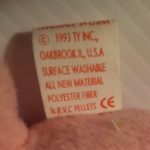 They even just used stickers to apply over 3rd Generation Tush Tags as they probably had many left over and decided to use them. Later versions of the 4th Gen TT did not have the sticker, and just had the new Ty logo with the star above it. 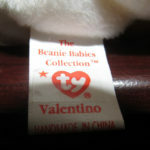 This Valentino 4th Generation Tush Tag Beanie Baby has the sticker to change the 3rd Generation Tag into a 4th Generation version. The value for these do not impact the Beanie that much although there are the exceptions out there. Like the 3rd Generation TT’s the 4th Gen versions can have the dates 1993, 1995 or 1996 on them. 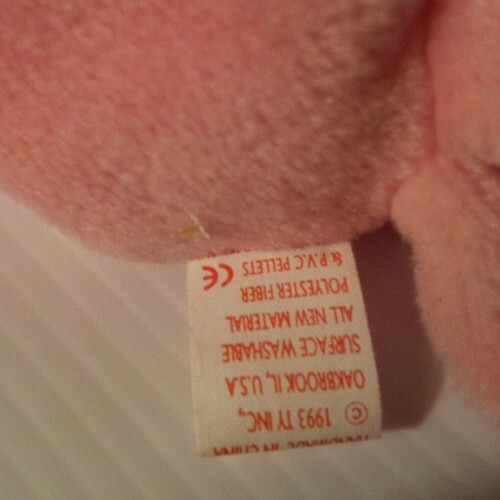 4th Generation TT Beanie Babies were made in China and Korea.